Modbus Protocol is a messaging structure developed by Modicon in 1979. It is used to establish master-slave/client-server communication between intelligent devices. It is a de facto standard, truly open and the most widely used network protocol in the industrial manufacturing environment. It has been implemented by hundreds of vendors on thousands of different devices to transfer discrete/analog I/O and register data between control devices. It's a lingua franca or common denominator between different manufacturers. One report called it the "de facto standard in multi-vendor integration". 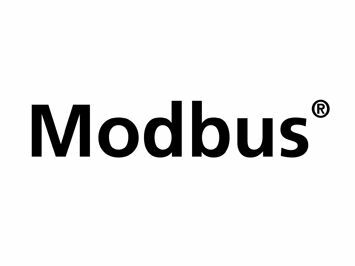 Industry analysts have reported over 7 million Modbus nodes in North America and Europe alone. Modbus is used in multiple master-slave applications to monitor and program devices; to communicate between intelligent devices and sensors and instruments; to monitor field devices using PCs and HMIs. Modbus is also an ideal protocol for RTU applications where wireless communication is required. For this reason, it is used in innumerable gas and oil and substation applications. But Modbus is not only an industrial protocol. Building, infrastructure, transportation and energy applications also make use of its benefits. TCP/IP is the common transport protocol of the Internet and is actually a set of layered protocols, providing a reliable data transport mechanism between machines. Ethernet has become the de facto standard of corporate enterprise systems, so it comes as no surprise that it has also become the de facto standard for factory networking. Ethernet is not a new technology. It has matured to the point that the cost of implementing this network solution has been dropping to where its cost is commensurate with those of today's field-buses.